Wholesale Warranties — Who Are They? Our blog at RVLuckyOrWhat is a labor of love, but we always thought it could possibly be more than just a way to record our travels. The information we’ve learned can be useful to RVers and RV travel dreamers everywhere. Recently, we found a company we believe in that has made a difference to us in our travels. How often can you say that? As such, Mitch and Val at RVLuckyOrWhat are proud to announce our first cross-marketing affiliation with Wholesale Warranties! We reached out to Wholesale Warranties to ask if they wanted to affiliate with us, full-time RVers who are blogging and recording our experiences. We’re going to talk about them anyway, so we thought they should know. And they agreed to talk about us too, because we represent the essence of their customers — people who just want to get on the road and go! As affiliates, we are pleased to recommend and refer readers to this reputable company we like, and they in turn will help promote our site and message. We do not intend to inundate readers with information they don’t care about. We will continue to share our story just as we always have, and help keep you all RV dreamin’! Wholesale Warranties is the leading provider of RV Extended Service Contracts direct to consumer. 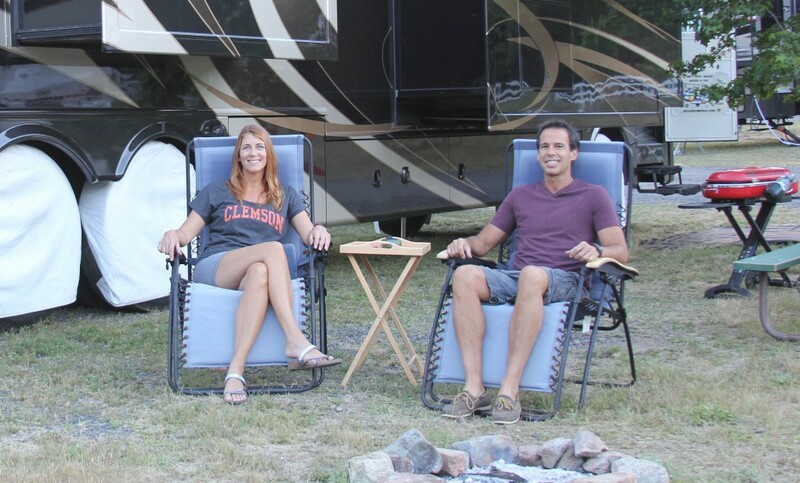 Formally established in 2008, owner Jeff Shelton has spent his entire career in the recreational vehicle industry, spanning over a decade in extended service policies specifically. Wholesale Warranties is a broker of RV warranties, and chooses to only work with policy providers with a proven history of claims payout and positive customer service. Wholesale Warranties was ranked on the Inc 5000 list of Fastest Growing Companies in America for two consecutive years from 2014 to 2015, and was recently included on the San Diego Business Journal’s list of Fastest Growing Private Companies in San Diego for 2015. Also in 2015, Wholesale Warranties launched their very own private label RV Warranty called the Viking Protection Plan. Wholesale Warranties is a proud member of the FMCA, Escapees RV Club, RVDA, and the RVIA as well as an A+ rated member of the Better Business Bureau. Wholesale Warranties is dedicated to education and customer service. Our RV Warranty Specialists are fully trained in customer service, and in helping customers find the best policy for them, at the best price. With access to several different warranty companies, levels of coverage, and payment plans, we seek to educate the customer on the options available to them, and eventually help them narrow this down to the perfect policy to suit their needs. Wholesale Warranties always provides customers with a full copy of the terms and conditions of their contract prior to accepting payment for a policy, and is dedicated to transparency. We want our customers to know exactly what they’re getting into, and this includes what they can expect to be excluded by their policy. Wholesale Warranties does not simply disappear after the sale of a policy! We have a dedicated internal claims staff that is available to our customers at any time during the life of their policy. Our claims specialists are happy to assist our customers with any questions they have during the claims process, including facilitating communication between the warranty company and the repair facility, and addressing any questions regarding approval or denial of a claim. We stand behind the products we sell, and want our customers to get the most out of their policies. In the market for an extended warranty? We at RVLuckyOrWhat recommend considering extended warranty coverage before your one-year bumper-to-bumper warranty wears off your new coach or travel trailer. And we highly recommend considering Wholesale Warranties to provide this service. For more information, visit www.wholesalewarranties.com. If you get a quote through RVLuckyOrWhat on your RV, trailer, coach, ATV or truck, you’ll receive a $50 discount using this Wholesale Warranties Quote Form on this site. Keep on RVing and we’ll see you in the warm places! HO – LEE – COW!!! We came across your blog a few weeks ago as we are about to embark on a similar journey. In fact, we left our home in Minnesota this am and drove to Elkhart, Indiana to tour the Thor facility tomorrow. We purchased a 2016 Tuscany 44MT and will see it in production. We hope to take delivery in a few weeks and then leave immediately for California on a “Shakedown ” trip to see our kids. The warranty ? has loomed over us as we get closer to delivery. Your post couldn’t have come at a better time! After reading your blogs about all the issues and seeing pictures you’ve included I have to say I’m impressed. I too, am a detailed person and troubleshooter. Seeing all your travels and knowing you are still motivated with the RV life is encouraging. We are going to contact the warranty company tomorrow!!! Hi guys! Glad we could help! Thor was great in standing by their bumper-to- bumper warranty the first year. But if you do lock in an extended warranty when your rig is new, you may get a deeper discount in the long term. Detail-oriented people have an advantage, along with engineers and diesel mechanics, lol. You’ll do great! Congrats on your upcoming plans! We hope you find like many RVers that the trouble is totally worth it! Congrats on your affiliation. This is who we have our extended warranty with. Nice transition to helping other RVers.